This is a MONUMENTAL Bowie! 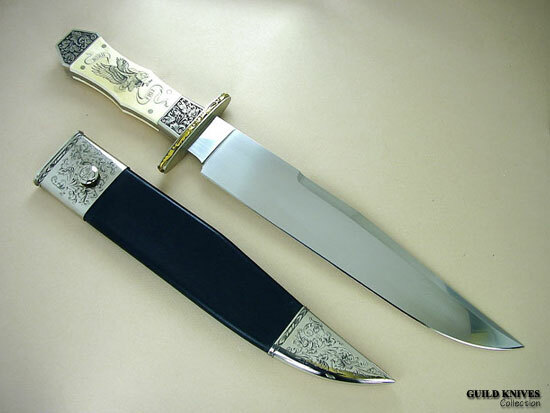 Buster had this Bowie on his letter head stationery for several years and it should actually be in a Knife Museum. Handle is Elephent Ivory and all of the work is by buster. Very heavy gold engraving surrounds the Guard. This huge Bowie just speaks for itself.